Were Hedge Funds Right About Wells Fargo & Company (WFC)? The market has been volatile in the fourth quarter as the Federal Reserve continued its rate hikes to normalize the interest rates. Small cap stocks have been hit hard as a result, as the Russell 2000 ETF (IWM) has underperformed the larger S&P 500 ETF (SPY) by nearly 7 percentage points. SEC filings and hedge fund investor letters indicate that the smart money seems to be paring back their overall long exposure since summer months, and the funds’ movements is one of the reasons why the major indexes have retraced. In this article, we analyze what the smart money thinks of Wells Fargo & Company (NYSE:WFC) and find out how it is affected by hedge funds’ moves. Wells Fargo & Company (NYSE:WFC) has experienced a decrease in hedge fund sentiment of late. WFC was in 77 hedge funds’ portfolios at the end of the fourth quarter of 2018. 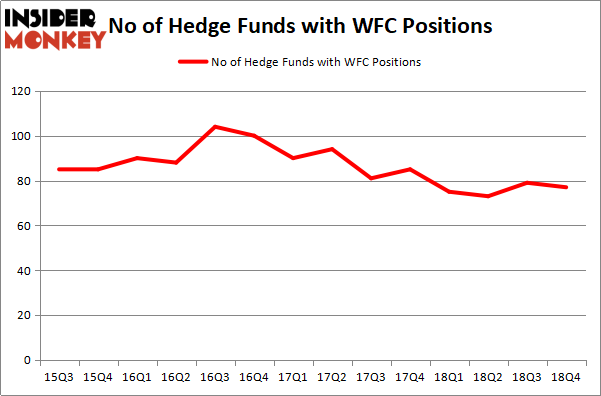 There were 79 hedge funds in our database with WFC holdings at the end of the previous quarter. Our calculations also showed that WFC is among the 30 most popular stocks among hedge funds, ranking 21st. Let’s review the key hedge fund action regarding Wells Fargo & Company (NYSE:WFC). 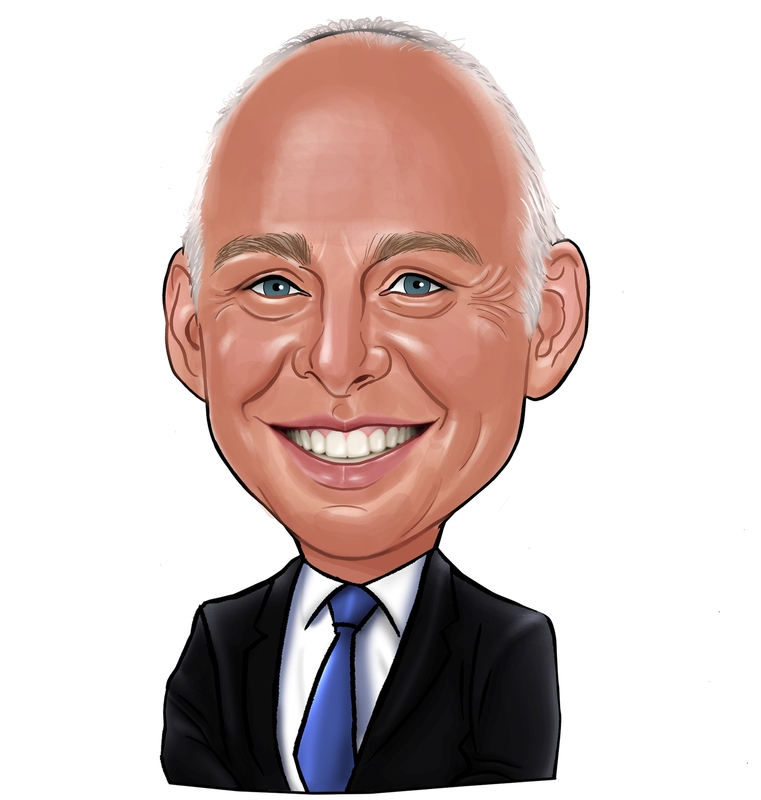 What have hedge funds been doing with Wells Fargo & Company (NYSE:WFC)? At Q4’s end, a total of 77 of the hedge funds tracked by Insider Monkey were long this stock, a change of -3% from one quarter earlier. On the other hand, there were a total of 75 hedge funds with a bullish position in WFC a year ago. With the smart money’s capital changing hands, there exists a few key hedge fund managers who were boosting their stakes significantly (or already accumulated large positions). More specifically, Berkshire Hathaway was the largest shareholder of Wells Fargo & Company (NYSE:WFC), with a stake worth $19665.5 million reported as of the end of September. Trailing Berkshire Hathaway was Eagle Capital Management, which amassed a stake valued at $1103.1 million. Gardner Russo & Gardner, Theleme Partners, and Pzena Investment Management were also very fond of the stock, giving the stock large weights in their portfolios. Seeing as Wells Fargo & Company (NYSE:WFC) has faced a decline in interest from the aggregate hedge fund industry, we can see that there was a specific group of hedgies that slashed their full holdings by the end of the third quarter. At the top of the heap, Mike Masters’s Masters Capital Management cut the biggest investment of all the hedgies watched by Insider Monkey, worth an estimated $210.2 million in stock. Steve Cohen’s fund, Point72 Asset Management, also dropped its stock, about $106.6 million worth. These transactions are intriguing to say the least, as total hedge fund interest was cut by 2 funds by the end of the third quarter. Let’s also examine hedge fund activity in other stocks similar to Wells Fargo & Company (NYSE:WFC). We will take a look at Intel Corporation (NASDAQ:INTC), Mastercard Incorporated (NYSE:MA), Chevron Corporation (NYSE:CVX), and AT&T Inc. (NYSE:T). All of these stocks’ market caps match WFC’s market cap. As you can see these stocks had an average of 66.25 hedge funds with bullish positions and the average amount invested in these stocks was $4609 million. That figure was $25412 million in WFC’s case. Mastercard Incorporated (NYSE:MA) is the most popular stock in this table. On the other hand Chevron Corporation (NYSE:CVX) is the least popular one with only 48 bullish hedge fund positions. Wells Fargo & Company (NYSE:WFC) is not the most popular stock in this group but hedge fund interest is still one of the highest. Our calculations showed that top 15 most popular stocks among hedge funds returned 19.7% through March 15th and outperformed the S&P 500 ETF (SPY) by 6.6 percentage points. Unfortunately WFC wasn’t in this group. Hedge funds that bet on WFC were disappointed as the stock returned 10.9% and underperformed the market. If you are interested in investing in large cap stocks, you should check out the top 15 hedge fund stocks as 13 of these outperformed the market.